Cochlear implant technology is growing rapidly in Malaysia to assist patients with hearing problems especially among children. Cochlear implants may be beneficial for the speech development of children and help children attend normal schools. However, the success of cochlear implants depends on the detection and early intervention of children and efforts to habilitation / rehabilitation by therapists and parents. 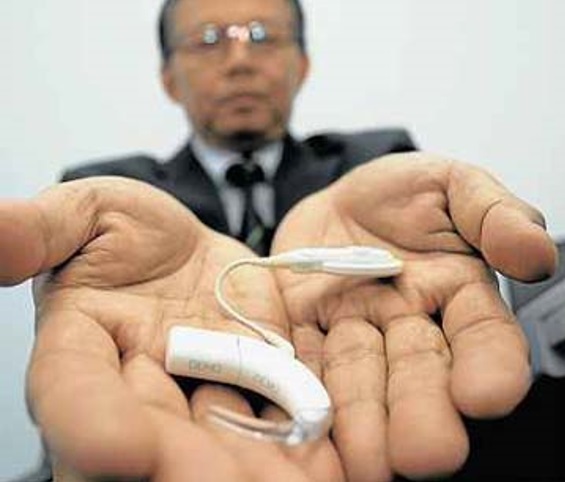 The latest scenario in Malaysia, most users only use cochlear implant in one ear only. 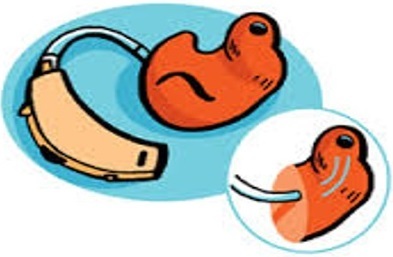 Therefore, various studies have been conducted to evaluate the benefits of cochlear implants. According to a study on the use of cochlear implant and its impact on the binaural processing for pediatric patients and adults showed that patients using bimodal fitting get better benefits than patients using cochlear implant or hearing aid in one ear only (Molly Justus, 2008). Cochlear implants: Bimodal Fitting is a combination of two different amplifications (electrical and acoustic stimulation) in both ears. In other words, patient uses a cochlear implant in one ear and a hearing aid in the other ear. 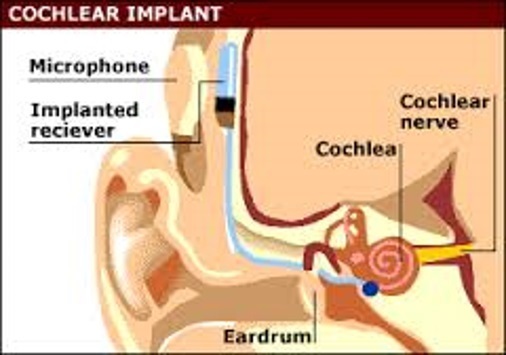 A cochlear implant sends electrical signals to spiral ganglion cells and this electrical transmission go through auditory pathway, which will then be interpreted by the brain. 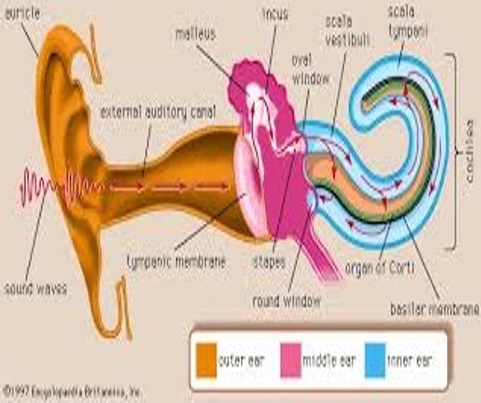 Meanwhile, hearing aid send an amplified acoustic signals to the outer hair cells (cochlear), and spiral ganglion cells which then convert acoustic signals into electrical signals and it go through the auditory system to the brain. The signal transmission for both devices is different. However, the signals sent to the brain via same auditory pathway. 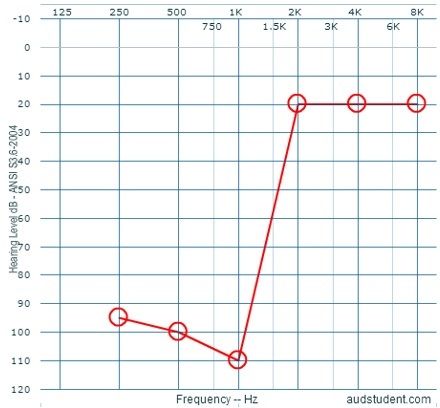 Patients should have residual hearing, especially in the low frequency region in non-implanted ear. 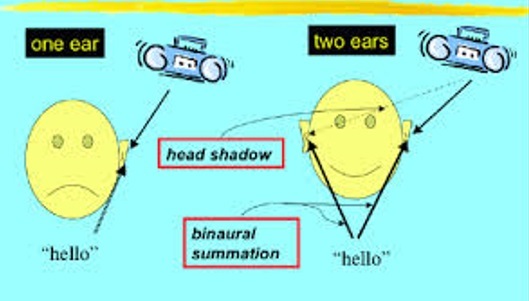 Bilateral Summation : 2 ears receive the same sound and transmit more sound information to the brain . 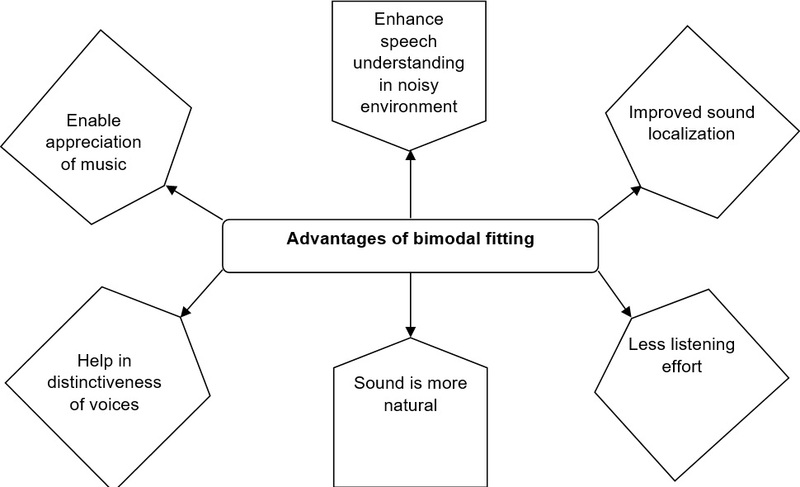 Bimodal fitting user can hear the sound even louder. Head Shadow Effect : The use of hearing aids and cochlear implants can prevent the effects of head obstacles on the transmission of sound. Squelch Effect : The brain receives sound information from both ears use that information to filter out unnecessary sounds. It helps the bimodal fitting user to hear clearer speech in noisy environment. 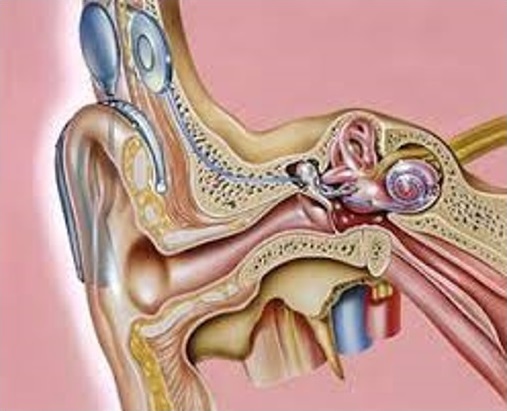 Use a hearing aid that has volume control so that users can adjust the sound according to particular situation. 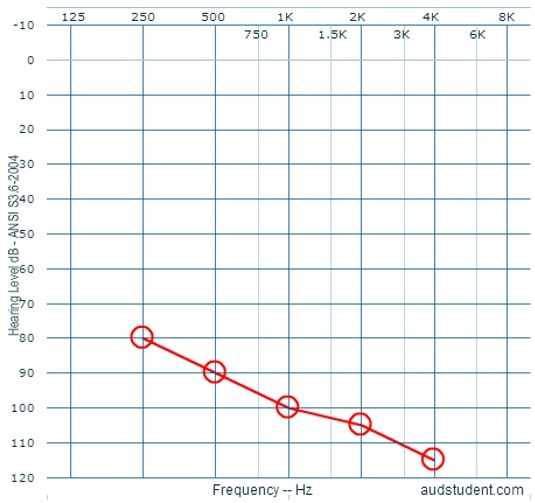 Plot high frequencies threshold at a normal range to avoid feedback on hearing aids. The usage of cochlear implant bimodal fitting among children is strongly recommended to assist them in the development and understanding of speech, especially in noisy environment such as in the classroom. It can also help children to focus in class and achieve better grades. These children will develop better communication and socialize well with their peers, hence increases their self-esteem. Annerose M. Keilmann, Andrea M. Bohnert, Jan Gosepath, Wolf J. Mann. (2009). Cochlear implant and hearing aid: a new approach to optimizing the fitting in this bimodal situation. Eur Arch Otorhinolaryngology. 266: 1879-1884. Jill B. Firszt, Ruth M. Reeder, Margaret W. Skinner. (2008). Restoring Hearing Symmetry With Two Cochlear Implants Or One Cochlear Implant And A Contralateral Hearing Aid. Journal of Rehabilitation Research & Development. Vol 45 (5): 749-768.